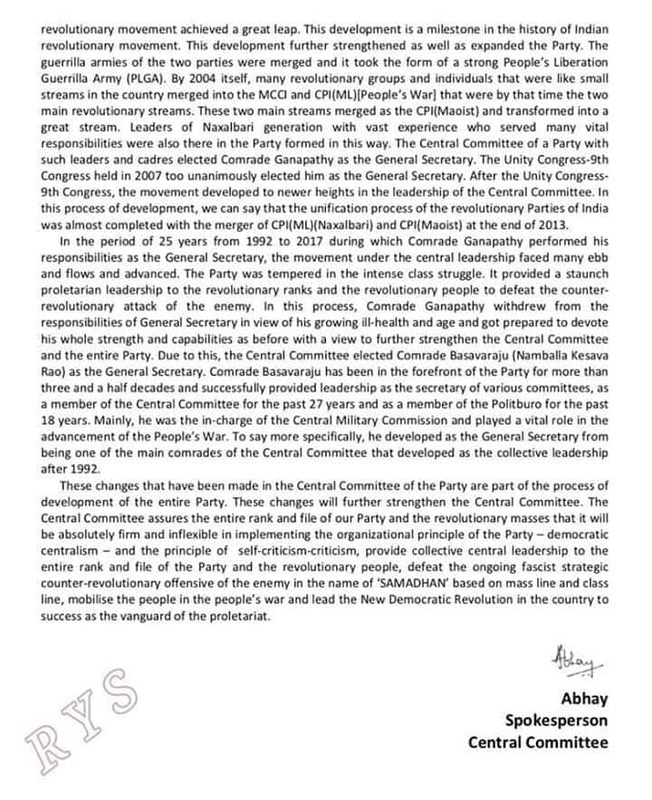 The Communist Party of India (Maoist) has appointed Nambala Keshav Rao – the leader of its Central Military Commission who is known by the nom de guerre Basavraju – as its next leader, the partyʹs Central Committee said in a statement dated November 10 and signed by its spokesperson Abhay. 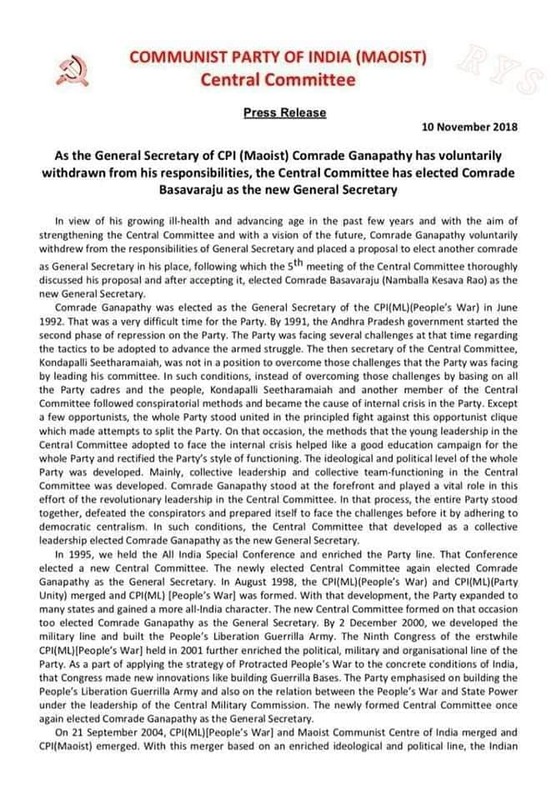 Basavraju replaces Muppala Laskhmana Rao alias Ganapathy, a former schoolteacher who became the general secretary of the Communist Party of India (Marxist-Leninist) Peopleʹs War in 1992. The Peopleʹs War Group, as it was usually called, merged with the Maoist Communist Centre of India in 2004 to form the Communist Party of India (Maoist). 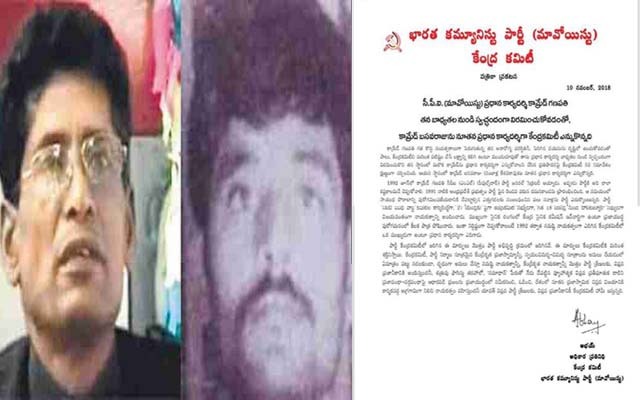 The party said Basavraju has been one of its key leaders for the past three-and-a-half decades, and a member of the central committee for 27 years and a Politburo member for 18 years. ʹHe has been instrumental in advancing peopleʹs war as a leader of the central military commission,ʹ the statement read. The party said the leadership change has strengthened it and is part of its development process.